They were hearing what they did not wish to hear. even the King of Israel." Who is the one who suggested this utterance to the crowds? Who is the one who put this praise into their minds? 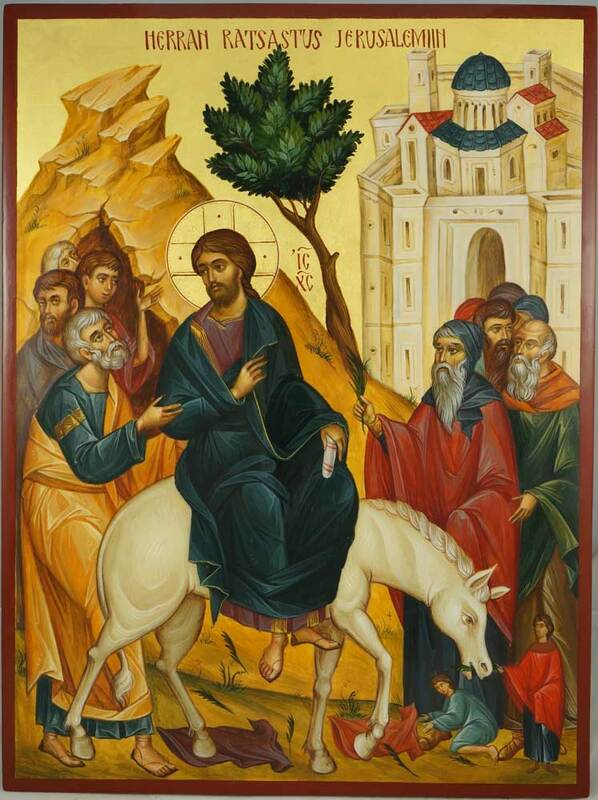 Who is the one who entrusted them with branches from the palm trees? acted as military commander of them all? Who is the one who taught them this harmony of voice? The grace from above, the revelation of the Holy Spirit. [The crowds] caused the Pharisees to turn away. They loathed the high priests. They lifted up in song their voices befitting to God. They caused creation to rejoice. They shook the dead beforehand. They stirred up the dead to the same zeal. and how they moved the Greeks to conversion. as to carry the cross. for the Son of man to be glorified." but that the nations put on. for from it the cross is even now glorified. and drives the devil away.